J.J. Redick scored 19 points and Wesley Johnson made five 3-pointers for 15 points for Los Angeles (29-16), which improved to 14-9 on the road. DeAndre Jordan, who put the LA Clippers ahead 73-72 with 0:55 left in the third quarter at Bankers Life Fieldhouse, added 19 rebounds, three blocks and nine points. 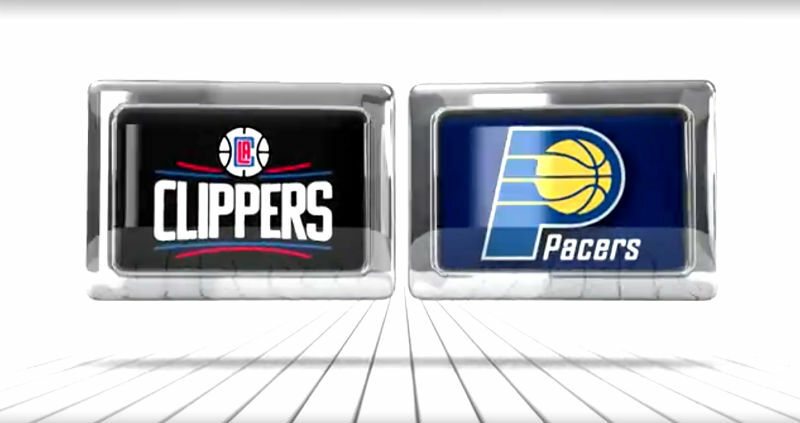 The Clippers then used a 13-0 run to extend the lead to 81-72 midway through the fourth quarter. Paul George went 12-for-23 from the field to finish with 31 points and 11 rebounds to lead the way for the Pacers (23-22) who closed the gap to two-points with a 14-7 run late in the contest. Myles Turner added 16 points and six boards off the bench, while George Hill scored 15 points and Ian Mahinmi ended with 12 points and 10 rebounds for Indiana, which lost its third straight. At the Barclays Center in Brooklyn, Dwyane Wade and Chris Bosh scored 27 points apiece for the Miami Heat to beat the Nets 102-98 in another NBA game Tuesday night. Wade made 11-of-22 shots from the floor and grabbed eight assists, three steals and two blocks, while Bosh went 12-of-18 from the field and added five boards and four assists for Miami (25-21) which won two in a row since ending a four-game skid. Justise Winslow scored 13 points and added seven rebounds and Luol Deng finished with 10 points for the Heat who shot 54.2 percent from the field. Brooklyn was led by Andrea Bargnani, who had 20 points off the bench and Joe Johnson, who added 15 points, eight assists and four rebounds in the defeat. Brook Lopez ended with 13 points and 10 rebounds — collecting his second successive double-double and his fourth in the last five games for the Nets (12-34), who continue to struggle at home after falling to 8-18 at Barclays Center. Thaddeus Young chipped in with 12 points and Bojan Bogdanovic scored 11 off the bench for Brooklyn, which shot 50.7 percent. In another NBA game on Tuesday night, All-Star forward Kevin Durant scored a season-high 44 points and collected 14 rebounds, and the Oklahoma City Thunder defeated the New York Knicks 128-122 in overtime. Both teams were locked at 113-113 at the end of regulation. Russell Westbrook delivered 30 points, 10 assists, eight rebounds and three steals for the Thunder (34-13) who were bouncing back from the loss to the Nets on Sunday. Langston Galloway scored 21 points to lead the Knicks, who were without leading scorer Carmelo Anthony after he missed the game with a sore left knee.